Come and celebration the greatest gift to man. If you have any question about the Christian faith or you want any more information on anything that we do please don’t hesitate to ask. In March 2010 the previous Government launched its latest strategy for seaside towns – Strategy for Seaside Success: Securing the future of seaside economies. To coincide with this announcement Wirral along with 24 other local authorities in England was awarded a grant of £200,000 from the Department of Communities & Local Government (DCLG). The allocation in the form of a revenue grant is designed to support projects that will drive regeneration and economic development in the seaside towns of New Brighton, Hoylake and West Kirby. Cabinet have agreed that Wirral’s allocation be split equally between New Brighton (£100,000) and Hoylake/West Kirby (£100,000) and that the respective Area Forum’s be given responsibility in evaluating and determining which proposals be supported. Recommendations from each Area Forum will then be presented to a future Cabinet for a decision. 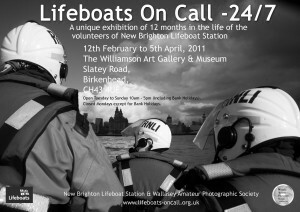 The application process was launched on 20th February and the closing date for applications is 12 noon on Friday 25 February 2011. Applications that meet the criteria for funding will be assessed through a process of participatory budgeting at two “Special” Area Forums on 7.00-9.00pm, 14 March at Melrose Hall, Melrose Avenue, Hoylake, CH47 3BU for Hoylake & West Kirby and 7.00-9.00pm, 17th March at Wallasey Sea Cadets, Victoria Road, New Brighton, CH45 9LD in respect of New Brighton. 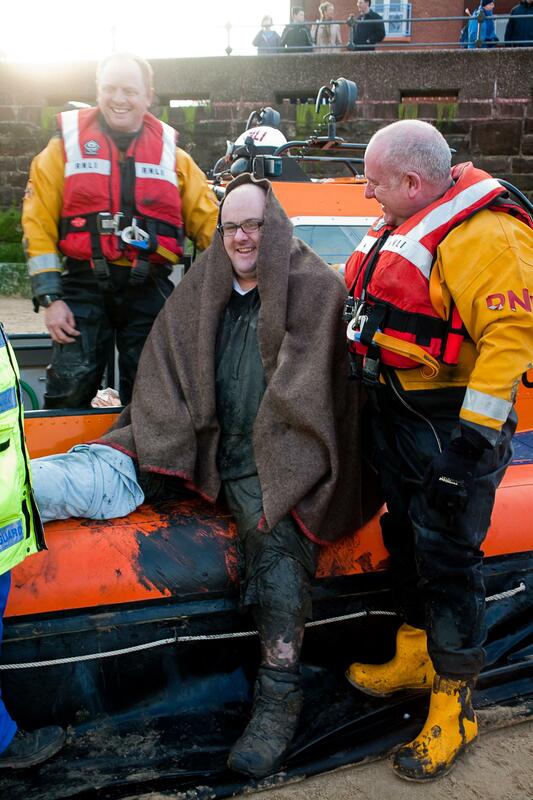 In January our hovercraft volunteers were in action helping save an unlucky walker who became stuck in the river mud off Egremont Promenade – the alarm was raised by a quick thinking group of girls from Weatherhead High School. A big thanks to Wallasey & District Royal Antediluvian Order of Buffaloes who during the last 12 months have raised a magnificent £4021.01 – the money will be used to start our new appeal to help with the costs of crew training and gear. 1.6 Quarry Park. Quarry Park situated at the junction of Rowson Street, Mount Pleasant Road, Rake Lane and Magazine Lane New Brighton is, as the name suggests the site of an old quarry. The sandstone walls forming the boundary of the park were extracted from here. The most unique feature is the sandstone gateway, with a clock and steps leading down from each side. The name of the donor and Victorian philanthropist Mr. James Smith is inscribed on the side of the structure. The pendulum of the clock mechanism was situated inside one of the corners. (The clock mechanism has been in a local clock repairers possession for 13 years) There is a children’s play section and a kick about area. This original Victorian recreation area had 3 bowling greens, but now has one, which is still used for playing the traditional crown green bowls. Work is continuing on the old chapel. 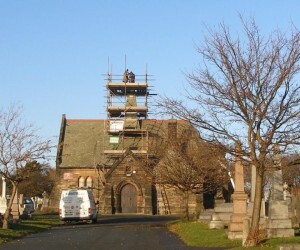 Recently, during terrible December weather, the roof, spire and cross were renovated with funding from the Area Forum. The Friends will again be represented at Wirral History & Heritage Fair, Birkenhead Town Hall on Saturday, 5th March, 10 am to 4 pm. Our monthly Sunday walks will start in April and run through to September. Each walk lasts about an hour and they cover three different aspects of the cemetery: military, national maritime disasters and local history. Last year’s walks raised a total of £258, by voluntary contributions, towards the work of the Friends. Our Chairman, Mark Joynson, continues to patrol the cemetery at the weekends with able assistance from Paul Smith and John Barke. This has had the effect of reducing the amount of vandalism to the graves and improving the security. Mark has also been actively seeking funding for higher railings between the cemetery and Earlston Gardens but it has been a very slow process and we still do not have a definite figure or a start date for the work. The Friends are happy to undertake research into the location of graves in the cemetery. It is time consuming, so we have suggested, on the web site, that people searching for family graves might wish to send a donation to the Friends. So far we have answered about 50 queries from as far afield as Australia, New Zealand, Canada, the U.S. and South Africa and received some generous donations. In the cemetery there is an area dedicated to the memory of children who were stillborn. Unfortunately, the memorial had fallen into disrepair, so it has been re-sited further away from the main path towards the rose garden. The memorial stones are currently being renovated. History Busters is a project involving young people who research, over a period of five weeks, an aspect of the history of a Wirral locality. Then, for the next five weeks the group uses the results of their research to produce a dramatized musical performance. 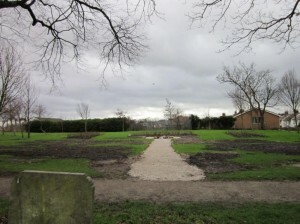 Rake Lane Cemetery has been selected as one of their projects for 2011. The group will focus on three graves connected to the Titanic disaster. The culmination of the project will be a performance on Easter Monday, 25th April, in and around the cemetery and we’re really looking forward to seeing the results of their hard work. TO HELP FIGHT CRIME IN YOUR AREA. WE HAVE FULL SUPPORT FROM THE POLICE AND OTHER LAW ENFORCEMENT PARTNERS. A lot has been happening in school over the last few months. We were found to be an outstanding school for the second time during a recent Ofsted inspection, which reflects the hard work of the children, staff and governors of the school. The PTFA has continued to work tirelessly in order to raise money for the school. The money raised so far has been used to completely revamp the playground and with the help of the Variety Club and DeVere Hotels we were able to purchase a new minbus for the school. This was presented to the children by local comedian, Stan Boardman. Up and coming events organised by the PTFA include a quiz night on Friday 8th April and a Summer Fair on Saturday 18th June. Any further information can be obtained by contacting the school office. All money raised by the PTFA is used to enhance the education and learning experiences of the children. Links continue to grow with the local community and the children have been lucky enough to be entertained during music assemblies by a number of children from high schools within the area, as well as local bands such as The No Hope String Band. The school is constantly being adapted to best meet the needs of the pupils and work has begun on a ‘Theme Studio’. This is an area that can be transformed to become any environment with the associated images, smells and sounds. Once again the studio will enhance the learning experiences of the children across the curriculum. 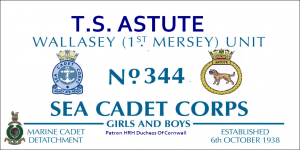 Wallasey Sea Cadets is a Uniformed Youth Group for Boys & Girls aged 12 to 18, Our Unit HQ is at Victoria Rd Wallasey Merseyside CH45 9LD (Opposite St James Church). Please bring a parent or guardian on your first visit just to sign the insurance paperwork. Wallasey Sea Cadets is an Independent Charity and we receive no funding from The Royal Navy Or MOD, All funds needed for the running and upkeep of the unit and boat house are raised by the committees, staff and cadets. 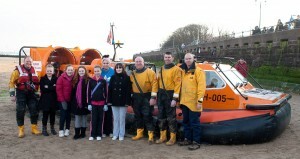 Wallasey Sea Cadets enjoyed a fun Christmas Party based on an American Theme. Thanks go to Dodgsons Bakeries for donation the chocolate brownies and to Kathy Elliott Director of The Nursery Kitchen and her suppliers for donating the Burgers and Veg. Already this early in 2011 Wallasey Sea Cadets have gained trophies for winning the District Seamanship and Engineering Competitions. February sees Junior and Senior Boys and Girls representing the Wirral District at area in 5-aside football. The steelwork is now complete and the upper floors cast. Brick & blockwork, windows, tile cladding and roofing are now progressing. The steel frame for the Lido is nearly complete and the outdoor swimming pool frame is cast. Underground services are well progressed and substantial areas of roadways and car parking is tarmaced. The drainage and kerbs are now nearly complete and the new entrances onto the site are formed. The main access junction is visible and traffic signal posts are now being erected. Bowmer & Kirkland apologise for any inconvenience to local traffic. The Marine Lake has now been handed back to Wirral Borough Council and our work to the lake is now complete. We continue to employ workers from the local community and encourage all of our sub-contractors to do the same. We anticipate further new opportunities to be created as labour levels on site increase with the finishing trader. Bowmer & Kirkland recognise and appreciate the support we continue to receive from the community. All Saints Church Congregation would like to welcome you to an open day on the 16th April and a special Church Parade Service on the 17th April to celebrate our Rainbow Guides 20th Birthday. This will also be an opportunity to say goodbye to All Saints Church as the church will close within the next few months. There will be displays from The Mothers Union, Church Members and Rainbows, Brownies and Guides. There will also be an opportunity to see the Rainbows, Brownies and Guides making their promises. giving a short history of the church. OPEN DAY STARTS AT 11.00a.m. CHURCH PARADE SERVICE STARTS AT 11.00a.m.